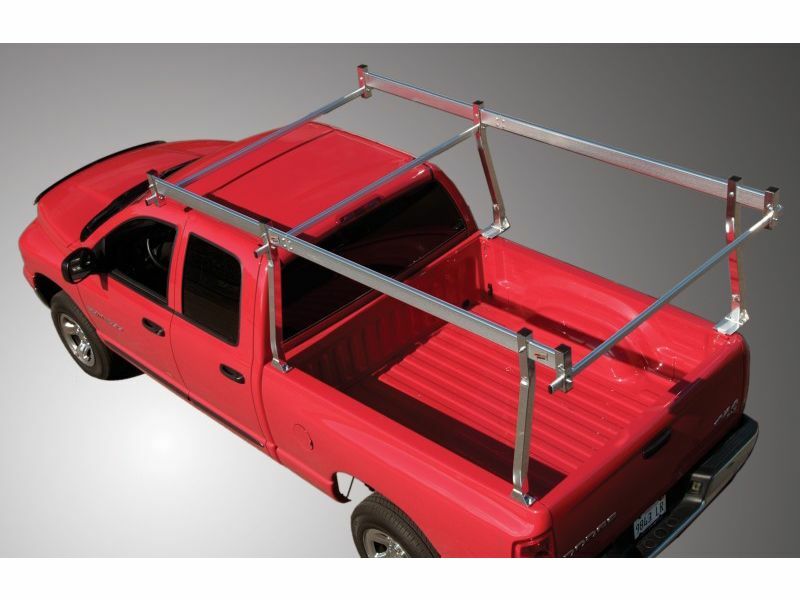 To select additional cross bars and other add-ons click here - Cross Tread Aluminator Truck Rack Accessories. The Cross Tread Aluminator truck rack is the "work horse" of truck racks. If you need a truck rack that is extremely dependable with a nearly limitless weight capacity, you're in luck. This amazing truck rack can withstand weights up to 1,000 lbs. The heavy-duty Aluminator is made out of structural extruded marine grade aluminum tubing. The tubing is hot water sealed for amazing protection against the elements and ensures a long lasting rack. The width of the Cross Tread Aluminator truck rack is completely adjustable and spans from 55" to 78", along with convenient adjustable leg placement. The Aluminator kit includes 3 cross rails and quick release locking pins for easy rear bar removal. This tough truck ladder rack will show up to your door step or work place contained in one carton. If you're a work horse and you're in need of a truck rack that has the brute force of a work horse, you've came to the right place. The Cross Tread Aluminator truck rack will exceed all of your expectations and much more. Made by Cross Tread. Install the Aluminator truck rack in your own driveway! No need for a body shop. Got questions? Give us a call at 877-216-5446.